The expo, consisting of four sub-exhibitions and a series of 13 forums, was organized by SEMI and TAITRA, sponsored by the Ministry of Economic Affairs (MOEA) and supported by the ECCT’s Low Carbon Initiative (LCI). 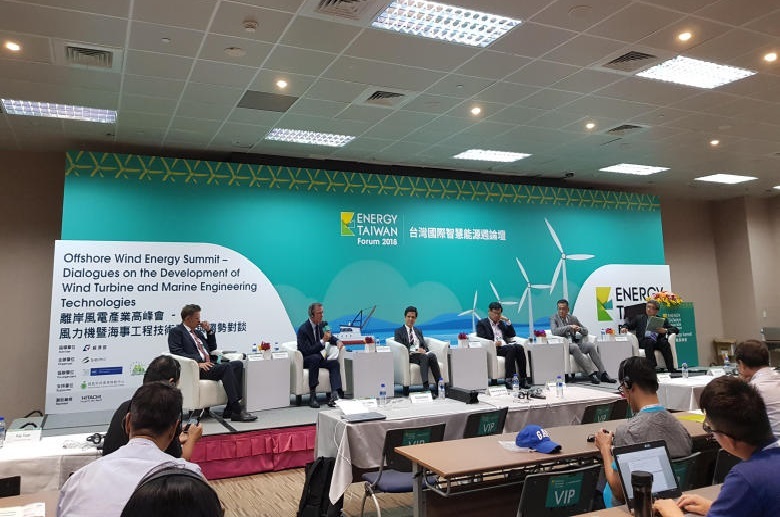 Speakers from the following LCI member companies gave presentations in the forums: Ørsted, MHI Vestas Offshore Wind, Schneider Electric, German Institute Taipei, Thyssenkrupp, TÜV Rheinland, and Northland Power, together with other world-leading experts and technology representatives. The following is a summary of presentations given by LCI members during the forums. 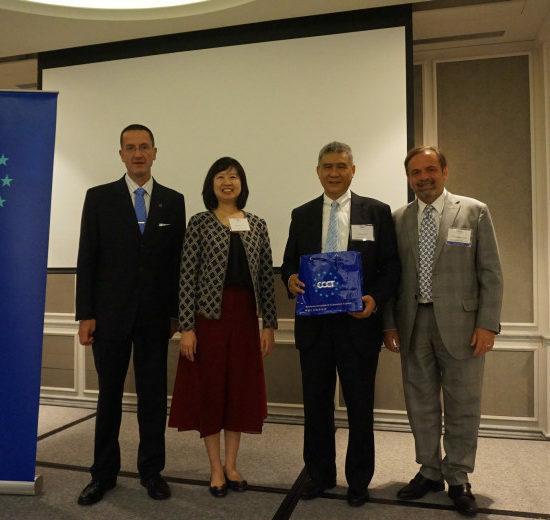 In his presentation Matthias Bausenwein gave an overview of Ørsted’s global wind power operations, including its expanding presence in Taiwan as a frontrunner in developing large-scale wind farms off the west coast. Based on international experience, he stressed the point that a high feed-in-tariff (FIT) is needed to build the industry supply chain and ensure timely build out and lower costs for future projects. While European players support developing the local supply chain and Ørsted is already building partnerships with local suppliers, it will take time to increase the level of safety and quality of local players. For this reason, localisation should not be rushed. In his speech the speaker noted that since 1995, his company has been steadily improving the technology and performance of its turbines. Today, the company produces the most powerful commercially-available 9.5 MW turbine. 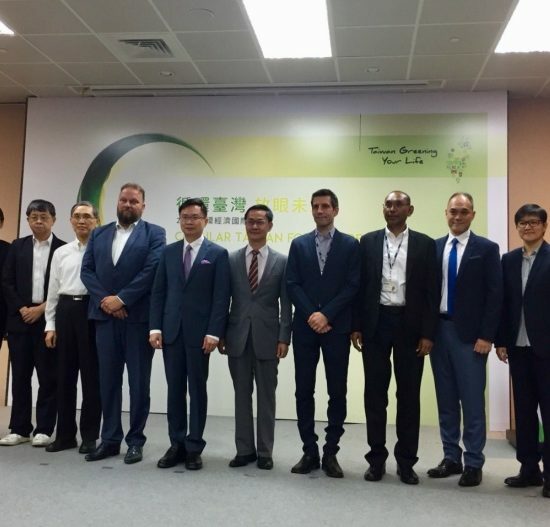 It is now also manufacturing a 9 MW platform turbine for Taiwan which is cable of operating in the extreme wind conditions of typhoons and will be ready by 2020. In her presentation the speaker said that with renewables growing rapidly to around 40% in Germany, energy storage systems will play a fundamental role in integrating volatile RES into the energy infrastructure and help maintain grid security by compensating for the enormous increase of fluctuating renewables. Pumped hydro is an efficient and effective form of storage usually designed for intraday storage and balancing and the only significant storage solution available today. Batteries are a tried and time-proven technology. Germany’s battery storage industry is expected to expand by 80% this year. Today, newly installed residential PV-systems are combined with an energy storage system to increase the amount of self-consumed PV electricity. As the portion of renewables increases, this also means that power production becomes much more decentralized. Under these circumstances, the only way to ensure stable grid operation and reliable energy supply is with efficient and modern transmission and distribution systems. Compressed air storage systems in salt caverns are another viable option. Hydrogen and power-to-gas technologies play an important role in long-term energy storage, future mobility and fuel strategy. The gas can be stored and then re-electrified or used for other purposes. At present, the technology is still expensive and not very efficient. Within Europe, Germany houses the majority of European fuel cell and hydrogen technology demonstration projects. Thanks to internationally-recognized certification institutions, the large number of players, and regional and international activities and R&D, Germany is developing and setting tomorrow’s global technical framework and standards. In her presentation the speaker stressed that risk management is crucial to offshore wind power. Managing risk requires an understanding of the engineering and technical systems, management system and organization, and cultural and behavioural factors. The health, safety, security, environment and business risks of corporate management must also be described in accordance with relevant laws, regulations and company standards. Through the realization of safe and reliable operations, financial loss can be avoided while ultimately protecting and strengthening the corporate values. TÜV Rheinland and the University of Liverpool in the UK have jointly developed a series of online training courses for training experts in risk and safety management. Corresponding qualifications can be obtained upon completion based on programme type. The qualifications required for on-site workers of underwater infrastructure engineering companies include welding quality management system certification and ISO 9712 (non-destructive testing - qualification and certification). Operation and maintenance (O&M) over the next two decades is also an area of great importance. TÜV Rheinland provides O&M team/personnel training/certification services that ultimately lead to certification as a wind power O&M company and O&M engineers. The Global Wind Organization (GWO) is a non-profit organization open to wind turbine makers and operators. GWO training courses are offered as two modules, Basic Safety Training (BST) and Basic Technical Training (BTT). The purpose of the BST course is to ensure operational safety by implementing GWO standards that reduce operational risks for personnel working at wind power sites. BTT courses are primarily focused on the training of wind turbine site technicians and O&M personnel. There are three modules available: electrical engineering, hydraulic engineering and mechanical engineering. GWO is the basic requirement for entry into the wind power industry. TÜV Rheinland is a GWO-accredited provider of independent certification services. TÜV Rheinland is a leading international provider of inspection, testing, certification, assessment and training services. Safe operations are essential in the capital-intensive, high-risk wind power industry, so the training of skilled professionals is a matter of great urgency. To seize the initiative and take advantage of emerging opportunities, a thorough understanding of the training requirements for wind power professionals is necessary. electrochemical cells which allow very high efficiency in industrial scale hydrogen production. Thyssenkrupp offers power-to-gas solutions for the needs of grid-scale renewables integration, and for industrial scale usage of hydrogen and subsequent products. Hydrogen serves as a clean energy carrier and can be stored for later re-conversion into electricity. The company is a globally-renowned specialist in chemical processes and plant construction, which can deliver turnkey solutions for sustainable chemical value chains. Fully-integrated plant concepts harness synergies and enable high-efficiency production of ammonia, methanol, SNG, fertilizers, and much more. All value chains gain in sustainability or can be completely CO2-free because the electricity required for hydrogen electrolysis can be supplied by renewable energy sources such as wind, solar, geothermal and hydropower. Turning CO2 into something valuable is also a key focus. This is what thyssenkrupp’s Carbon2Chem project is all about. On 20 September, thyssenkrupp officially started producing sustainable methanol from metallurgical gases at its pilot plant in Duisburg. The steel mills waste gases contain chemical elements such as nitrogen, hydrogen and carbon dioxide which can, with the right process, be transformed into synthesis gases, which are the raw materials for chemicals such as ammonia and methanol. To co-ordinate this project, thyssenkrupp worked closely with governmental research, and industrial partners. What is special about Carbon2Chem? Up to now chemical companies produce synthesis gas from fossil fuels like gas and coal. Carbon2Chem deliberately uses the surplus energy from renewables. This has a two-fold saving of CO2. Not only is it converting the waste CO2 from the steel making process, but it is also saving CO2 which was previously emitted from the production of the synthesis gases. There are around 50 steel mills around the globe that could be considered for Carbon2Chem, and the technology can be transferred to other CO2 intensive industries. Thyssenkrupp’s vision for virtually CO2-free steel production has started to take shape, and this should be seen as a milestone for energy transition and climate protection. In his presentation, Sean McDermott spoke about three issues: 1) The importance of a stable feed-in-tariff (FIT) price for 2019 in order to support ongoing supply chain development in Taiwan, particularly given escalating local content obligations; 2) Opportunities for local banks to participate in two separate ways of project finance opportunities; and 3) The key challenges in Taipower’s PPA.